After moving into the K Block community in the late 1990s, Pastor Wande Siwale was struck by the need to care for the most vulnerable. He felt God’s call for him to serve the hurting in the community. Made up of 15 villages and 5 regions, the community of K Block is home to roughly 11,000 people who are mostly farmers and the elderly. Many have been left impoverished with little access to health care, education and clean water. These are just some of the challenges they face. In 2005, Pastor Wande and fellow local church members began serving the community with a nearby Community Based Organisation (CBO) already partnered with Hands at Work. They cared for patients suffering from HIV/AIDS and other illnesses as well as the children who were left orphaned. In 2009, after partnering with Hands at Work, K Block CBO was born. This partnership has given them support in many ways, including receiving training on how to care for the most vulnerable in the community. Local church members were mobilised to volunteer at the CBO. Currently, there are 9 Care Workers from 4 local churches assisting 100 children. Twice a week, they walk several hours to visit the children to help with household chores, homework and offer guidance to the family. In addition to home visits, the CBO provides a hot meal for all 100 of the children they visit. These children also receive assistance with school expenses and support with health care. Because K Block is largely a farming community, it depends heavily on the harvest season for survival. Unfortunately, due to the lack of rainfall, fertiliser, and farming equipment, the crops have been poor the last 2 years. For families such as Dwain’s this means there is no food security in the coming seasons. But the Care Workers serving with the CBO take great ownership of their work. Three of the four Care Points spread throughout K Block are run out of Care Worker’s homes. As a team they are committed to seeing the most vulnerable children are being cared for. Despite the many challenges in K Block, people within the community love and support one another, especially during times of difficulty. One example is a local church in K Block which often donates food to the Life Centre to supplement feeding for additional children. Having these support systems within the community and the Service Centre outside the community committed to encouraging the Care Workers, a strong sense of unity is growing. Living with her mother and five siblings since the death of her father, Dwain* faces many challenges. Her mother struggles to provide food for the family with no nearby water source for her garden. And without enough to even feed them, finances are too tight to afford school fees. However, since Christine, a K Block Care Worker, identified Dwain and her siblings, these burdens have been greatly reduced through the services and support they receive at the Care Point. The Hands at Work office in Luanshya currently supports eight Community Based Organisations, which exist to care for the most vulnerable in their communities. The office provides training, networking, and encouragement to those Community Based Organisations like K Block. It also gives administrative support, including helping with funding proposals, monitoring and evaluation, bookkeeping and reporting to donors. 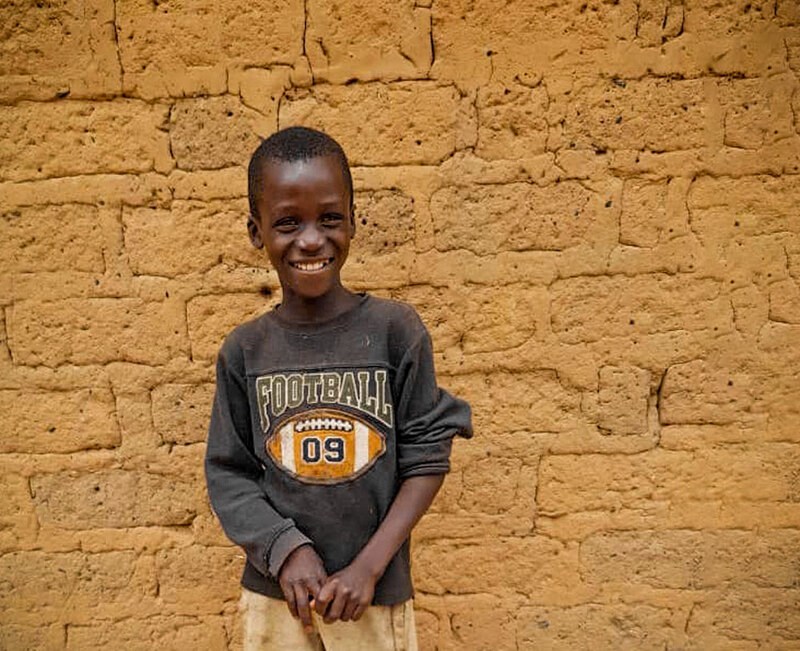 Nine-year-old Jubilee* is the second youngest child in a family of five, and is looked after by his mother. However, he is in great need of positive role models around him. At Kafubu Community Based Organisation, there is a strong understanding of God’s care, and this compassionate love is demonstrated by the Care Workers. One particular Care Worker takes Jubilee with her when she attends church and encourages him to play with her children. These children have a stabilising influence on Jubilee and are good behavioural role models for him. 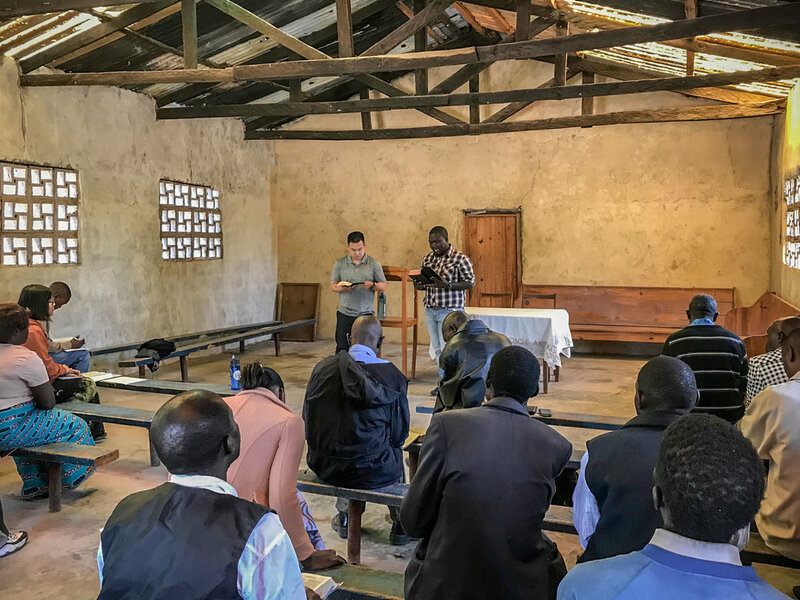 Joey Chen is a pastor from Sunset Church in the US, who came to Zambia for the first time, alongside Abe Lee, an elder in the church. He reflects on what he saw and was challenged by.